On this day in 1952, the Boeing B-52 Stratofortress made its first flight. The B-52 design evolved from a straight-wing aircraft powered by six turboprop engines to the final YB-52 with swept wings and eight turbojet engines. It was build to carry nuclear weapons has only dropped conventional weapons. It was used in the Vietnam War and during operation Desert Storm and it was during the latter that it set the record for the longest-distance combat mission when a flight of B-52’s took off from Barkesale Airforce base in Louisiana, refueled en-route, struck targets in Iraq and returned home, a journey of 25 hours and 14,000 miles. B-52’s are periodically refurbished and currently only the B-52H is in service and, as of 2012, there are 85 in active service and nine in reserve. 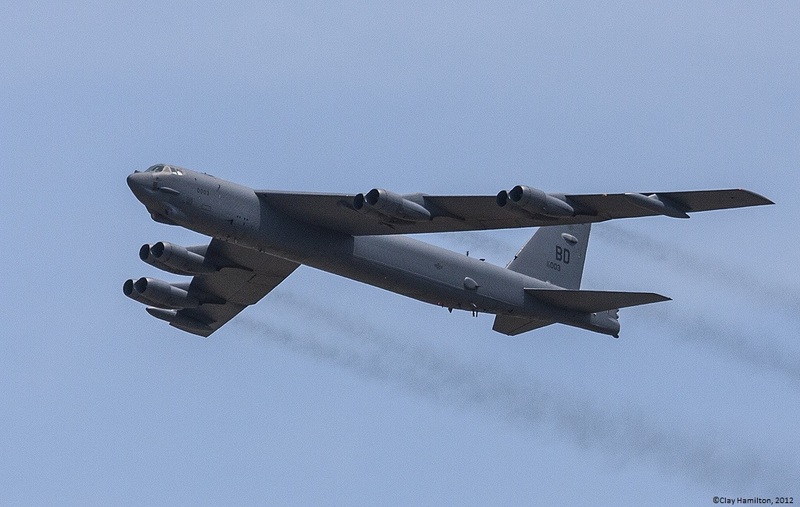 Its superior performance at subsonic speeds and relatively low operating costs have kept the B-52 in service despite the development of the B-1 Lancer and the B-2 Spirit. Affectionately known as the “Buff” (for Big Ugly Fat Fellow or the more obscene Big Ugly Fat F**ker), after its next set of upgrades are completed between 2013 and 2015, it is expected to serve well into the 2050’s.